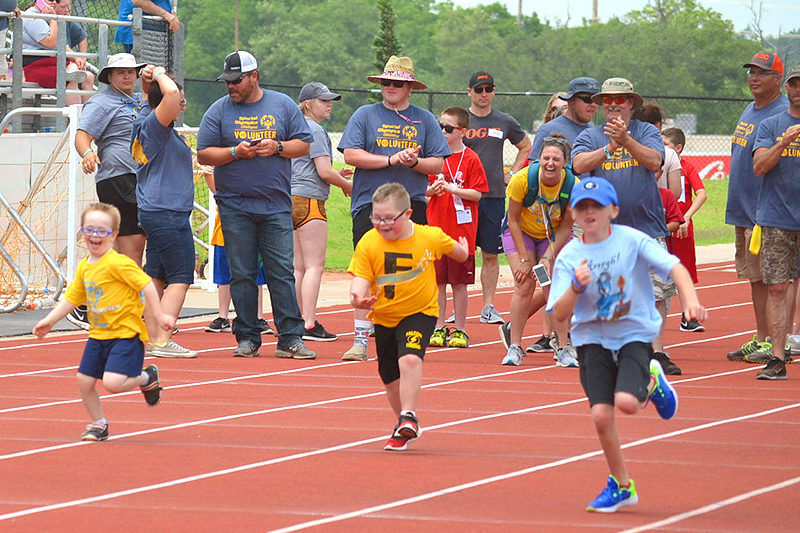 Without volunteers, Special Olympics Oklahoma would not exist. 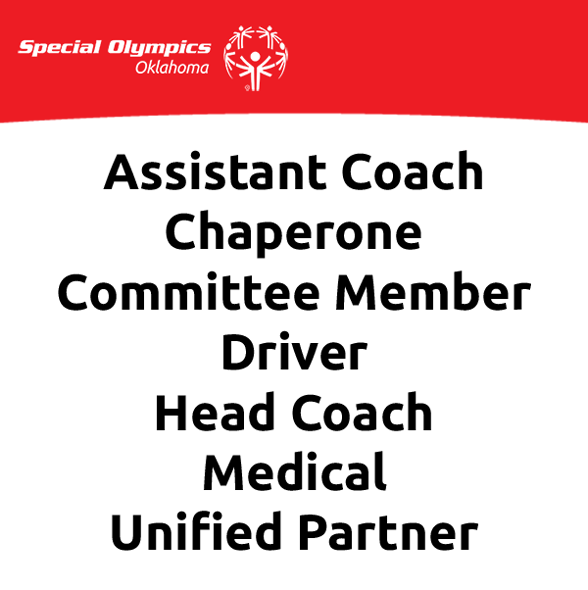 We depend on the time, energy and dedication of thousands of energetic volunteers to fulfill our mission.We are sure that your life will be enriched immeasurably as you become an important part of the Special Olympics family. Our volunteer base includes students, senior citizens, business groups, individuals, civic organizations, families, churches, school groups and coaches just to name a few. In other words, ANYONE CAN GET INVOLVED! Like Us on Facebook For Constant Updates on Upcoming Volunteer Opportunities! Class A: Class A Volunteers include anyone who wishes to be a coach, assistant coach, chaperone, committee member, driver, medical, or Unified Partner. Because Class A volunteers will be spending a lot of one-on-one time with our athletes, we take extra precautions to ensure their safety. Complete (with satisfactory results) a background check through our selected third party vendor. Class B: Class B Volunteers are those who only wish to volunteer the day of an event. To be a Class B volunteer, all we need is a completed Volunteer Application! Groups: To volunteer as a group, all we need is for a group application to be filled out. Ready to get started? Select your desired volunteer level below and let’s get going! ALL volunteers are required to review the Volunteer Policies. Contact us for more information about volunteer opportunities.